Unless you work in search and rescue or as a cinematographer, you probably don’t need a drone. But they’re cool, so you likely want one. You can buy a cheap one that’ll break, underperform, and eventually bore you. You can get one that costs as much as a second-hand car. Or you can grab a DJI Spark: Priced at $499 MSRP (same price on Amazon), it’s the goldilocks of the drone world—it’s not too expensive, yet well-built and capable. In other words, just right. The Spark requires no assembly. Charge up its battery and it’s ready to use right out of the box. The first thing you’ll notice about the Spark when you go to take it out if its protective case is its size and heft. It weighs just under 11 ounces, has a diagonal length (from propeller mount to propeller mount) of about 7 inches, with a body that’s a litter smaller in diameter than a can of soda. You’d think that given its weight, the Spark would feel delicate in your hand. You’d be wrong. While the drone’s self-deploying propellers aren’t exactly what you’d call resilient, the rest of there Spark feels exceptionally well-made—given how much vibration and bumping around the drone may be subjected to during flight and landing, that’s a good thing. Before using the Spark, you’ll need to charge its battery and pair it with your iPhone or iPad. The version I tested didn’t come with a dedicated battery charger, but it’s included in the box if you order the Spark “Fly More” combo for $699. Juicing up the Spark’s battery via USB took me about 45 minutes. Unfortunately, the battery can only keep the Spark in the air for around 15 minutes, depending on wind conditions and how you fly it. For a bump in runtime, extra batteries and a multi-battery charger can be had for $49 and $69, respectively; the Fly More combo includes two batteries and a charger. Setting up the Spark is a cinch—just download the DJI GO 4 app for iOS and turn the drone on. The Spark generates a Wi-Fi signal. Connect your iOS device to it and you’re done. The Spark’s 12-megapixel camera is mounted on a gimbal to stabilize it while the drone is in the air. The Spark comes equipped with a 12-megapixel camera. The images it produces won’t thrill a professional photographer, but I’m confident that amateurs looking to do a bit of airborne photography will be happy with the results. I found that the images captured by the Spark’s still camera were typically color-rich and detailed enough that you’d be happy to show them off to your family and friends. 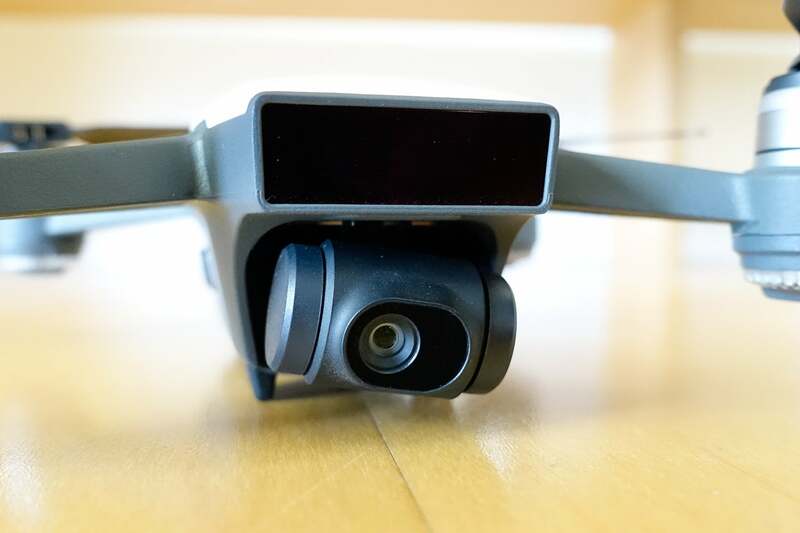 The same goes for video: The Spark can collect 1080p video, which, for anyone wanting to capture an afternoon at the beach or downhill mountain bike ride, should be fine. 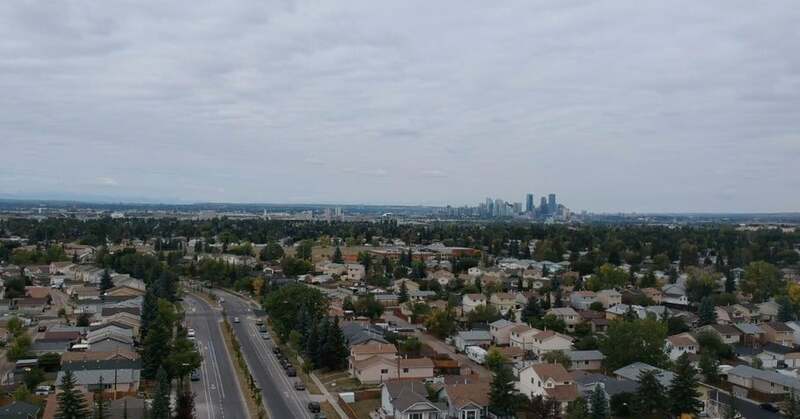 Despite brisk winds on an overcast day, the Spark was still able to snag some great video footage of Calgary, Canada. If you’ve read anything about the Spark, then you’ll likely know that it’s designed to be controlled with hand gestures. Tap the Spark’s power button twice and the drone will scan your face so that it knows who’s in charge and take off from the palm of your hand. Extend your arm with your palm facing out and the Spark will enter Gesture Control mode: move your palm up, down, left, or right and the drone will track it and move in kind. With the flick of your hands, the drone will take a photo of you and your friends or blast off high into the air shooting video as it goes. 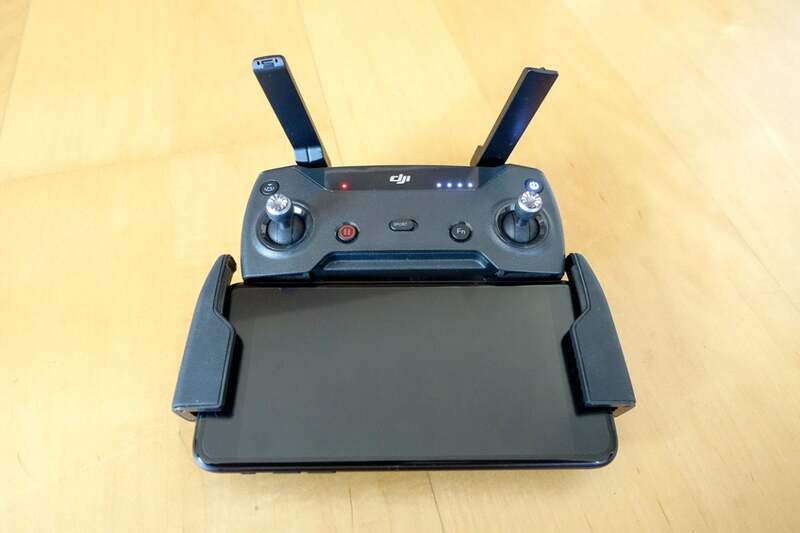 The Spark can transform most iOS devices into a virtual cockpit. Here’s the thing: these gesture controls only work when the Spark can see you, and they don’t always work the first time. But there’s no reason that it has to stay this way. DJI releases frequent firmware updates to their products. A future update could bring along new gestures and make the drone’s recognition of existing ones more accurate. Fingers crossed. It’s also possible to control the Spark via the DJI GO 4 companion app for your iOS device. After pairing their iPhone to the Spark, the app allows drone pilots to see through the ‘eyes’ of the Spark’s camera. Controls for the drone are superimposed on top of this video footage: two virtual sticks to control the drone’s movement, a slider which controls (albeit terribly) the pitch of the drone’s camera, video, and photo controls and sliders to make launching and landing the drone safe and easy to do. Not into control sticks? Try TapFly mode instead. While using TapFly, tapping anywhere in the images relayed to your iPhone by the Spark will send the drone to that location. Both of these control methods are free to use… and it shows. 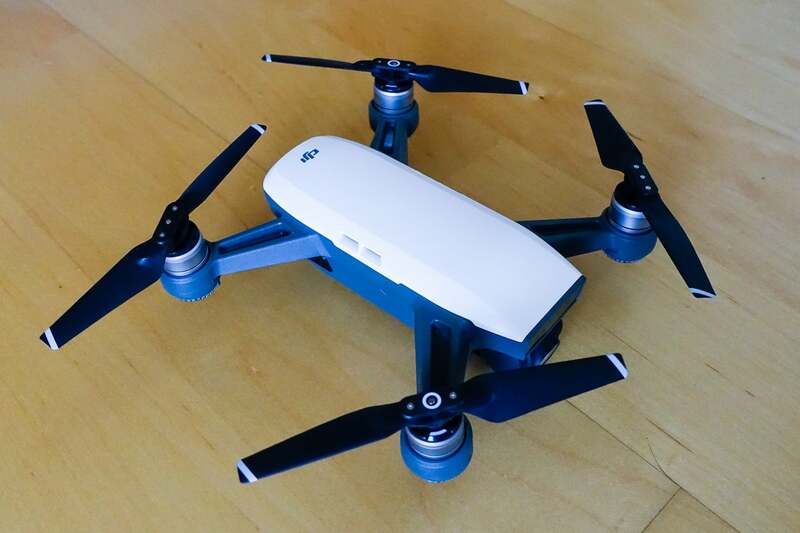 Piloting the Spark with TapFly or DJI GO 4 app’s control sticks often felt inaccurate and laggy. But in a month of testing, I never crashed the Spark and always had a good time flying it. The Spark can also fly itself, in a limited capacity, thanks its ActiveTrack and Quickshot modes. 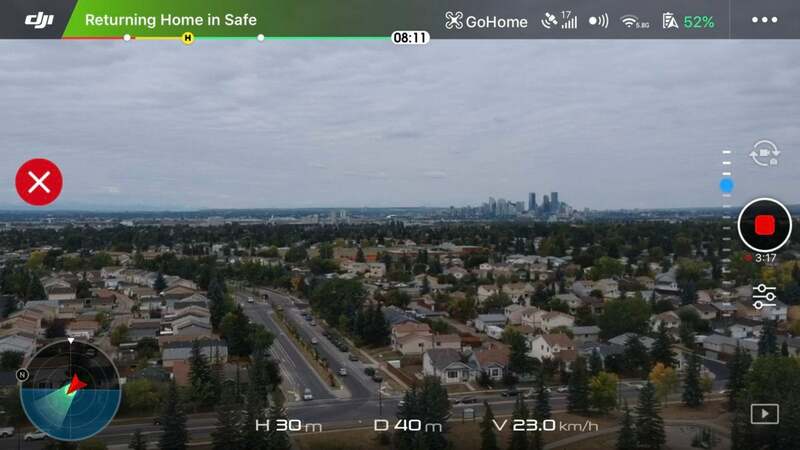 ActiveTrack uses the drone’s computer vision to follow a subject of your choice. In this mode, the Spark can even dodge obstacles using the drone’s forward-facing proximity sensors. In QuickShot mode, the drone will fly vertically at top speed and then spiral out to film the landscape surrounding you or fly a lazy circle around you to capture the good times you’re hopefully having. DJI’s $149 Spark Remote Controller makes the drone easier to fly and significantly boosts its range. The biggest issue with using an iOS device as a controller for the Spark isn’t the lag or inaccuracy that I mentioned earlier: it’s your smartphone’s limited connectivity range. Anytime that the Spark got more than 300 to 400 feet away from where I was standing, the connection to my iPhone would be severed. This isn’t unique to the Spark: other drones which use a smartphone as a control system have conked out on me under similar circumstances. The best way to get around this issue, and my favorite way to control the Spark, comes in the form of the $149 Spark Remote Controller. Using the Remote Controller extends the range of the Spark to just over a mile and allows you to jack up its cruising speed, significantly, to 31mph. The Controller’s sensitive thumb sticks and dedicated camera controls made flying the drone a significantly more pleasurable affair. I like the Spark, a lot. But I hate that drone pilots will be forced to buy extras in order to make good use of it. An extra battery will set you back $49. An external charger? $69. Propeller guards come in at just under $20 and while the Remote Controller is totally worth it, $149 is a lot of extra money to spend when you just forked over $499 for a drone. DJI sells the Spark in a ‘Fly More’ bundle for around $700, which makes this affordable drone not-so-affordable. And even then, you still have to buy the Remote Controller Separately. Boo. 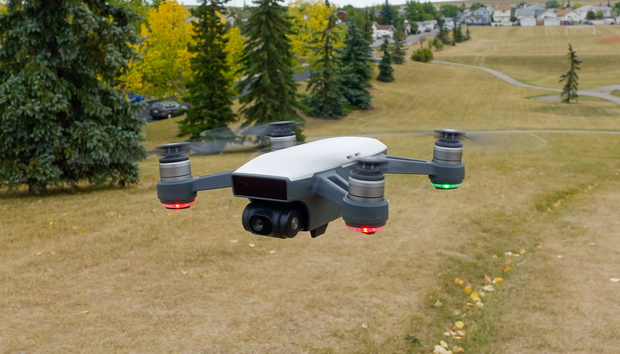 The DJI Spark’s compact size and impressive capabilities make it more pleasurable to own and operate than any other drone in its price range. But its pricey accessories can make getting the most out of it an expensive proposition.